One of the most common problems in exterior walls is air leakage around electrical boxes. Thermoshield / ProCell flows around and conforms to electrical boxes, plumbing, wires and nails and seal them against air and moisture infiltration (a common problem associated with batt type insulation). 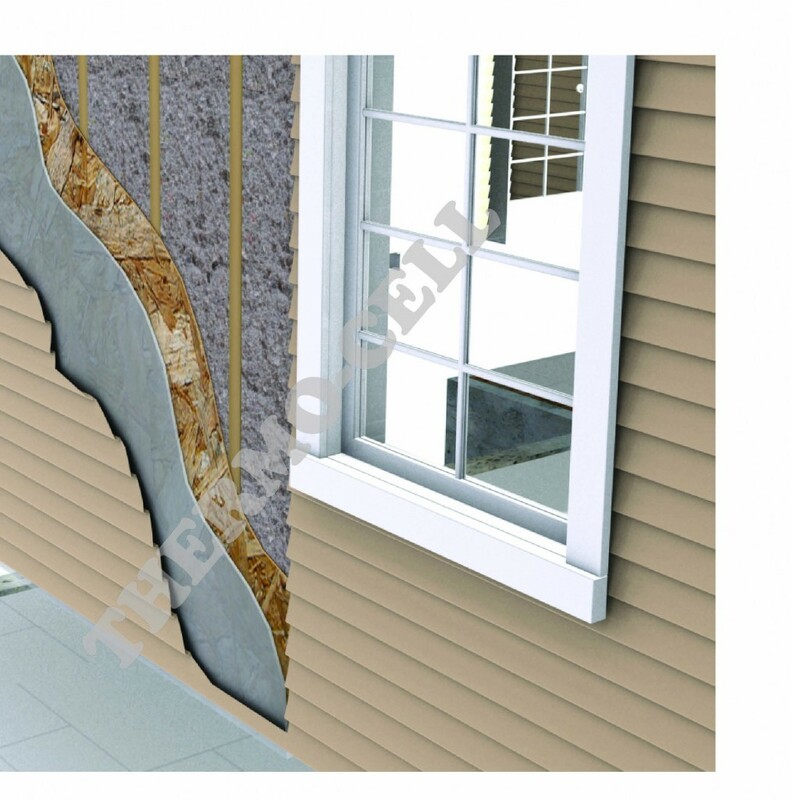 Thermoshield / ProCell is installed utilizing an innovative installation method called the EnviroShield Wall Insulation System. This method utilizes techniques to ensure that cavities are uniformly and consistently filled to a dry blown density of 3.00 lbs/ft3 (48 kg/m3) to ensure no settlement occurs . Under the EnviroShield System insulation can easily and quickly be installed directly behind either polyethylene vapour barrier or mesh and can achieve up to R-23 on 2 x 6 frame walls. 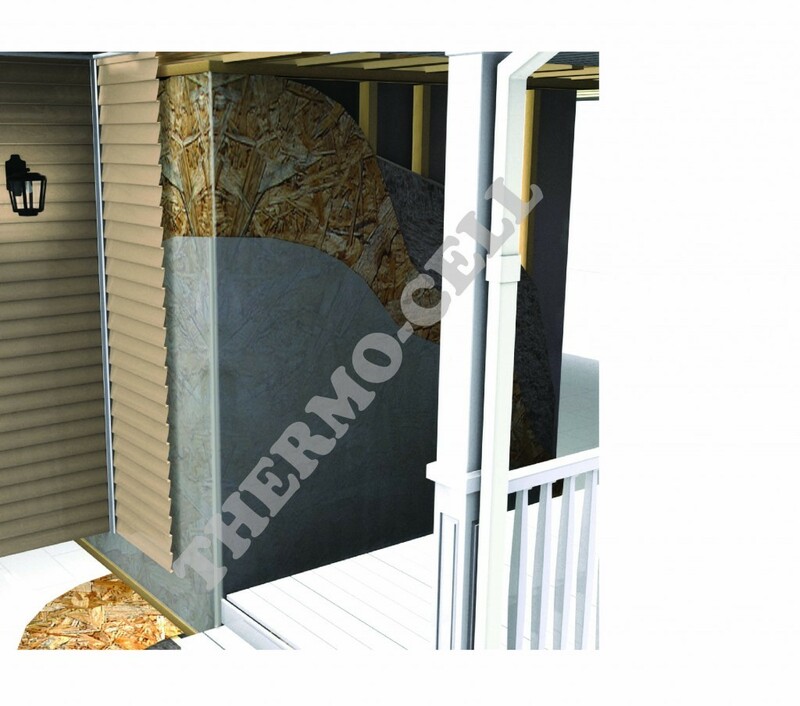 Thermoshield / ProCell installed in walls is up to 3 times more dense than batt type insulation. Studies have shown that retrofitted walls insulated with cellulose insulation showed a 24% reduction in air infiltration. Additionally, the higher density provides superior control of lower frequency sounds such as those associated with air traffic and road noises. Thermoshield / ProCell is suitable for both wood and steel frame construction and eliminates the need for an exterior air barrier system. Note: This does not preclude the use of breather type sheathing membranes required to reduce the risk of water infiltration.